Blue String Theory is made up of 5 seasoned professional musicians that has dedicated their careers in performing live entertainment. In the last couple of years BST has quickly gained a large fan base and plays at top resorts throughout Las Vegas. We have a large song list and change our show so our most loyal fans experience a fresh show each night. We love the people that come see us and spend our breaks taking pictures and mingling with our audience. We love what we do and so do the people that come see us. Blue String Theory is just not a band but an experience. We enjoy playing top venues throughout Las Vegas. 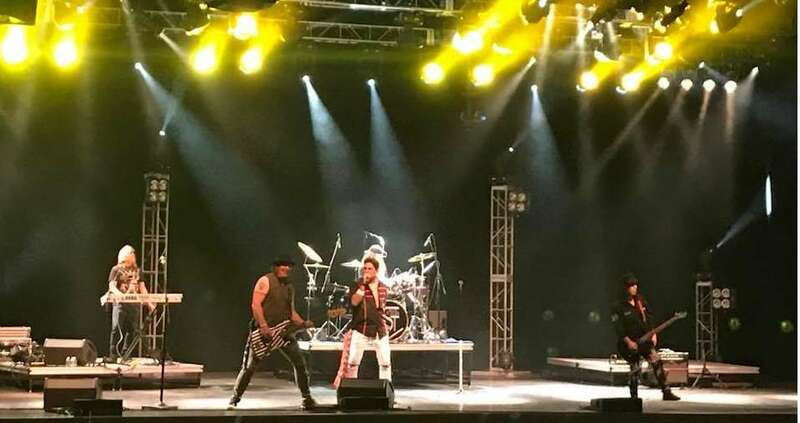 Blue String Theory plays every Saturday at Sunset Station and every Sunday at The Fremont Street Experience along other regular shows at various venues such as The Cannery , House of Blues.